Proprietary Name: Hand Sanitizer Aloe Vera What is the Proprietary Name? 50302 - Panrosa Enterprises, Inc.
Hand Sanitizer Aloe Vera with NDC 50302-001 is a a human over the counter drug product labeled by Panrosa Enterprises, Inc.. The generic name of Hand Sanitizer Aloe Vera is alcohol. The product's dosage form is gel and is administered via topical form. 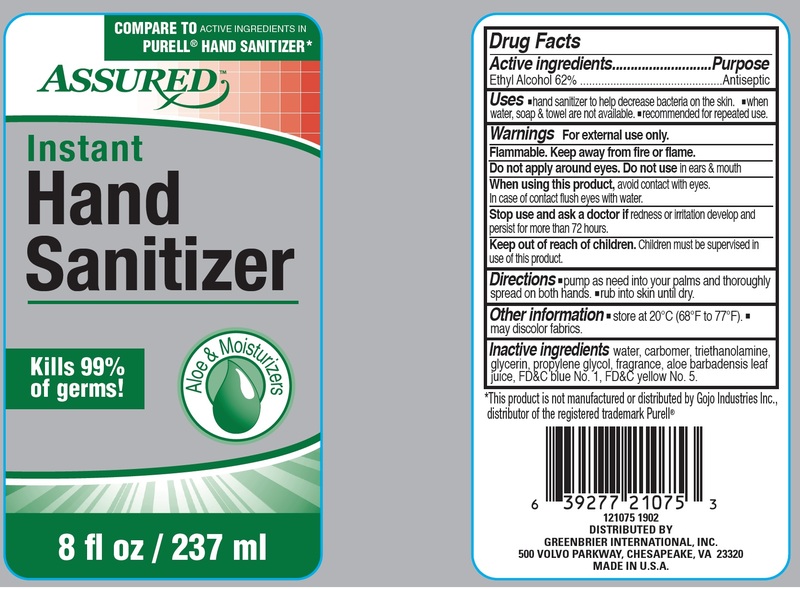 Labeler Name: Panrosa Enterprises, Inc.
Hand sanitizer to help decrease bacteria on the skinwhen water, soap & towel are not availablerecommended for repeated use. For external use only.Flammable. Keep away from fire or flame.Do not apply around eyes. Avoid contact with eyes. In case of contact flush eyes with water. Redness or irritation develop and persist for more than 72 hours. Pump as need into your palms and thoroughly spread on both hands.rub into skin until dry. Store at 20℃ (68℉ to 77℉).may discolor fabrics. Water, carbomer, triethanolamine, glycerin, propylene glycol, fragrance, aloe barbadensis leaf juice, FD&C blue No. 1, FD&C yellow No. 5.